Concrete Patios add value to your property, which makes you ask, why wouldn't I want to add value to my property. Star City Concrete LLC has the professionals and experience to design the concrete patio of your dreams. And we're local too, right here in Dayton, Centerville, Miamisburg, Springboro, Oakwood, Beavercreek, Kettering, Bellbrook, Brookville, Xenia, Tipp City & Washington Township, Ohio. We also have an "A+ Rating" with the Better Business Bureau and have numerous references at your request. So take a look around... Star City Concrete LLC concrete patio professionals are ready for any dream you may have for your property. Everyone knows that increasing the landscaping, having a concrete patio can up the price of your property. It's endless to what Star City Concrete LLC can do for your concrete patio. Typically, our crew is on site for one day and guarantee that no damage will be done to your property while the concrete patio is being placed. Even more, concrete patios give a sense of elegance and personality saying this is my custom design, my custom concrete patio, there is only one like it. Message Us at Star City Concrete LLC or call (937) 667-7592 for more information on how our patio concrete professionals can add value to your property while having the security of a 1 year warranty*. 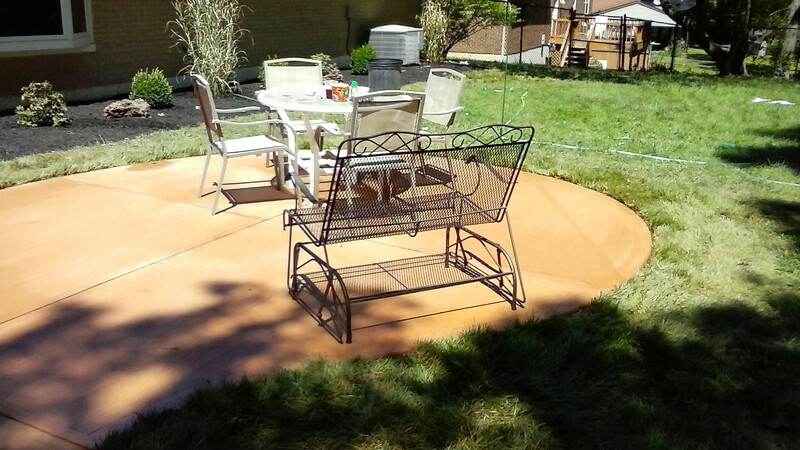 In addition to concrete patios, coloring concrete spices up any average "slab of concrete." By adding a base color to the concrete mix. 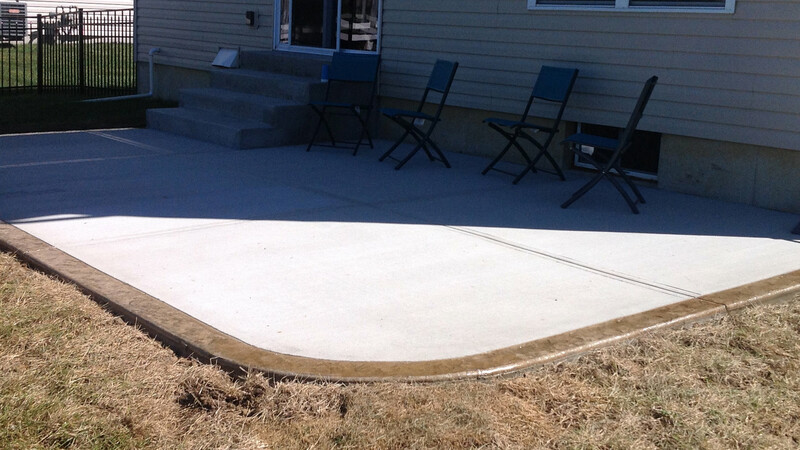 Visit our Sidewalk Page for a list of all the concrete services we offer here at Star City Concrete LLC. 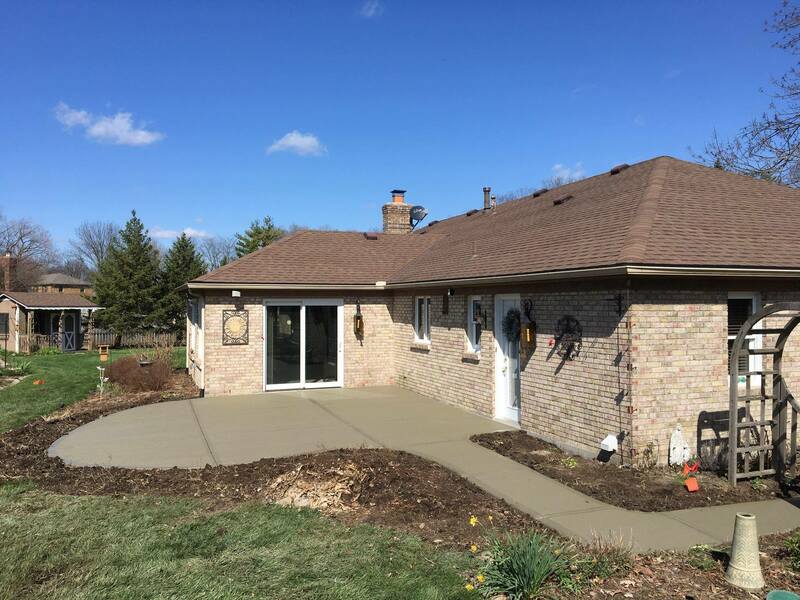 Whether you want stamped concrete to plain concrete - we can do it all.